For morbidly obese patients, the dietary modification and lifestyle changes are usually insufficient to induce a significant weight loss that will improve comorbid conditions and have an acceptable impact on the quality of life. One of the surgical methods of management of obesity is gastric banding. It is a form of restrictive bariatric surgery aimed at reducing the capacity of the stomach and thus, early satiety and an overall reduction in caloric intake. The procedure involves the placement of an adjustable silicone band around the upper part of the stomach. The band generates a small pouch with limited volume which will provide an early and prolonged feeling of satiety; additionally, the band slows the passage of food from the pouch to the lower part of the stomach, thus leading to decreased food intake and subsequent weight loss (Torres-Villalobos, 2015). The silicone band has a plastic tube that extends just below the skin through which sterile water can be introduced. Injection of water into the band makes it tighter. Thus, the band can be adjusted (tightened or loosened) to improve weight loss and reduce side effects. The band is not/minimally inflated immediately after surgery. By the end of the 6th-week post-surgery, the adjustment is commenced by injection of sterile fluid into the band and at 2-4weeks interval until the maximum restriction is reached. This procedure is most commonly done using the laparoscopic minimally invasive approach (Torres-Villalobos, 2015). The US Food and Drug Administration (FDA) approve only two forms of gastric banding procedures. Lap-Band and Realize Adjustable Gastric Band (Torres-Villalobos, 2015). Interested in undergoing Gastric Banding in Mexico? Today Most Bariatric Surgeons Recommend the Gastric Sleeve Surgery, as an Alternative to the Gastric Banding Surgery. Learn more about affordable, safe Gastric Sleeve in Mexico. The indication for gastric banding is not different from that of other bariatric procedures. Any patient with a body-mass index (BMI) >40 kg/m or with BMI >35 kg/m and 1 or more significant comorbid conditions or weight-induced physical problems interfering with the performance of daily life activities is a candidate for gastric banding (Pentin & Nashelsky, 2005). The average percentage excess weight loss (EWL) was found to be 49% in a study involving 2815 patients who had a laparoscopic adjustable gastric band (Cobourn, Chapman, Ali, & Amrhein, 2013). This value was sustained for up to 5 years after the surgery. 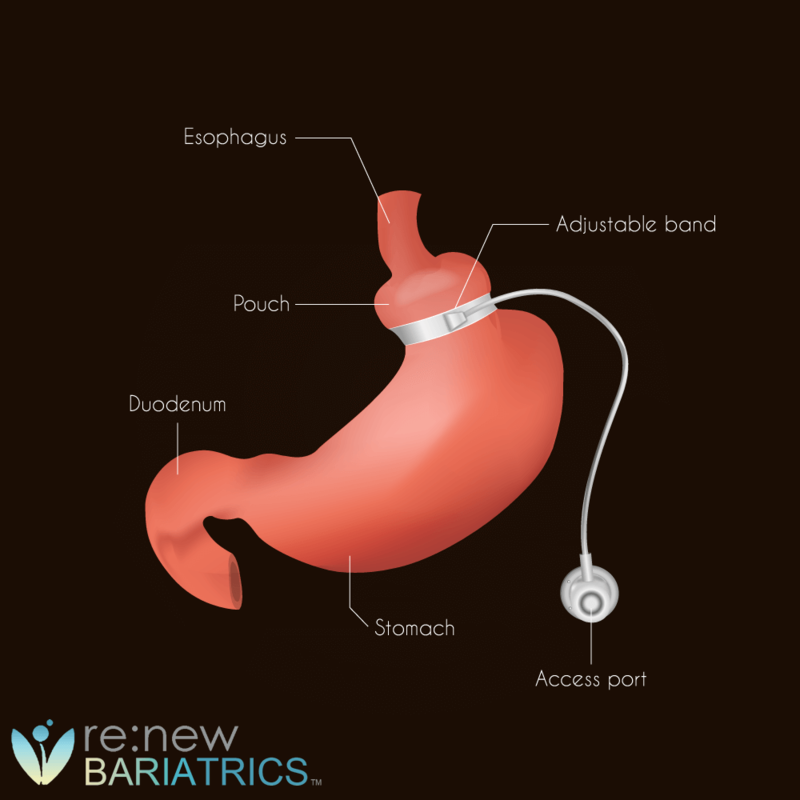 Gastric Banding is no longer being promoted by Leading Mexico Bariatric Surgeons, as a result, you should contact our staff to learn more about how we can help you achieve weight-loss success.